I have tried it all. Expensive treatments with Shavata (first at Michaeljohn and then at Harrods), the humiliation of the department store brow bar, where passers by would often stop to see the tears rolls down my cheeks during threading sessions, serums and an occasional dabble in HD brows. There was only one treatment left to explore - the semi-permanent eyebrow tattoo. This is the application of individual strokes and colour that can last anywhere between 1-5 years and make the perfect low maintenance option. I had this done last week and can I just say that I clearly saved the best for last. I had it done at Sisters in Dubai Mall. 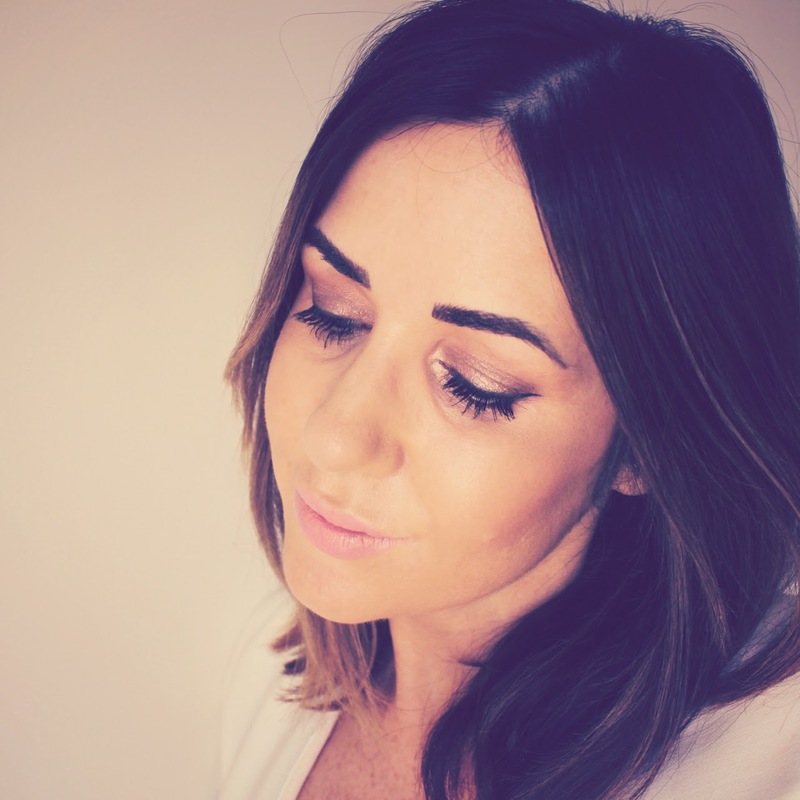 Chloe is the therapist that specialises in semi-permanent makeup and out of all the people that offer this service in Dubai, is the only one I would recommend. You can check her Instagram to see why. Go to someone else at your own risk - there are ALOT of bad tattoo'd brows round this neck of the woods. Now I would probably describe my natural brows as "just okay". They are too rounded in the front and towards the end there is a pathetic whisper of a tail. When I pencil them in I like to give more thickness and definition so that they frame my face - but they definitely require product to look acceptable. I loved the idea of having good defined brows all the time but I will admit to being a bit scared about ending up with dark slugs that turn green or purple. One of the reasons I went for semi-permanent tattooing is that although a needle is used to deposit pigment, it does not penetrate as deep as your standard tattoo. This mitigates against that weird tint end result. Now the treatment itself took about an hour and a half and I would say more time was spent discussing colour and shape than the actual tattooing itself. Honestly, I think this is important - you need to make sure that you are going to be happy when you walk out of the salon. Brows are lightly groomed, with strays plucked away, and then the tattooing starts. Chloe used a mixture of two shades and two different needle types - one to give the appearance of actual hairs and the other to deposit colour to define the shape. This does not hurt at all. I repeat this does not hurt. Numbing cream is whacked on beforehand but all I felt was a device lightly vibrating over my brow area. In the picture above you see my brows one day after the treatment. It is normal and expected that they appear darker than the end result at this point but I quite liked the intensity! Right now they are flaking a little and I can see a much lighter colour underneath. Should I want a darker end result then I can always do that come top-up time and that's thankfully included in the price. From there top-ups can be given whenever required - from what I have read online it's normal to return to the salon once a year. PS. I had the Glamour Brow treatment at Sisters which costs 3000 AED. Visit their website here - Link! Have you ever thought/had this done? Becca I also recommend Tracie Giles clinic, I had mine done there last year and a top up this year-best things I ever did and the process sounds very similar to what Laura's was. it is expenisve (about £800 for the first appointment and £300 for the top up) but its the best thing I ever did. I also altered the shape a little bit on my second appointment. This is something i've been thinking about for ages but I'm really scared in case I come away with really fake looking brows and then i'm stuck with them! I had an over-plucking disaster as a teenager & my brows never grew back and they're really thin so I think that's why I'm so anxious.. I think you might be a good candidate for this then Amanda. The only snag is cost because to get a good therapist it does cost a decent chunk. For what it's worth I am planning to do an update in 6 months time to give my two cents about whether I think it has lasted/was worth the investment. Wow, I didn't realize semi-permanent brows could last that long. Which is a good or bad thing depending on how talented the person doing them is... eek! Yours look great though! I know! Can you imagine if the shape was totally wrong? I am sure this has happened to people before and it must be devastating! Were you not a little scared that they wouldn't turn out as you hoped. I think I would be so nervous. It's hard to tell in the picture...but does it really look like individual hairs. So happy you like the end result! Strangely enough I didn't hesitate at all. I think a lot of it comes down to the therapist and ensuring that they have a good understanding of what you want - this is not a treatment that you want to get your wires crossed! Honestly, I would say if you spend ALOT of time every day pencilling in your brows then consider it - if that's not really you then I don't think that the cost would be worth it. Oh my gosh! It looks amazing! Yours turned out amazing! Although I could never do it - I've always liked the idea of tattooed eyeliner...imagine waking up with perfectly lined eyes and never having to worry about it! But with tattoos, the downside can be huge - so it's SO great that you found the best tattoo makeup artist to work with - can't wait to see your brows in future FOTD pics! The eyeliner scares me because its so close to your eye and I am a bit funny about eyes...although I touch my eyeball every day via contact lenses! Anyway, yes i agree - it's all about the therapist because if they bodge it up you have to live with the mistake for a while. Not a treatment to just get on a whim! I've never heard of this before. I can't believe it did not hurt! Your brows look great Laura, but wow! that's over £500, I didn't think it would be that pricey! Can't wait to see how they are in future photos. I feel like this is generally an investment in oneself. I know it sort of juxtaposed to say but if I had brows like yours I would never ever wear any other make up because they look so natural (I know they aren't) but they do look that way! I love brows I think they really can frame someones entire face and impact on their whole facial features. I definitely still feel like I need make up :) but you are so right, it makes you feel more groomed and defined. I love a thick brow and I really wish that I could have grown my own! I would be terrified. Just the other month I had my eyebrows waxed, and even though I told the girl a bazillion times that she really really should just get rid of the strays and by no means make them smaller I ended up with more than a third of my brow missing... I cringe at the thought this would last for a year! Your´s look awesome, by the way. Ah, looks gorgeous Laura! She did a fantastic job. I've been wanting semi-permanent brows for a while now. The only thing that's stopping me is that I am blonde now, and I bleach my brows for a softer look and fill them in with a matching shade to my hair. My natural hair and brows are jet black. I know you tend to go back and forth with your hair color too. I'm scared that my brow's won't match my future hair color. I'd have to ask if they can change that easily. Anyway, thanks for motivating me because it looks amazing. I wonder if there is anyone as good as Chloe in the States (specifically the South East). I'll be doing some major research. Would love your thoughts in a few months time. Wow! Your eyebrows are looking amazing and beautiful after semi permanent eyebrows treatment. Your experience is really helpful for the readers who want to know more about semi permanent eyebrows treatment.